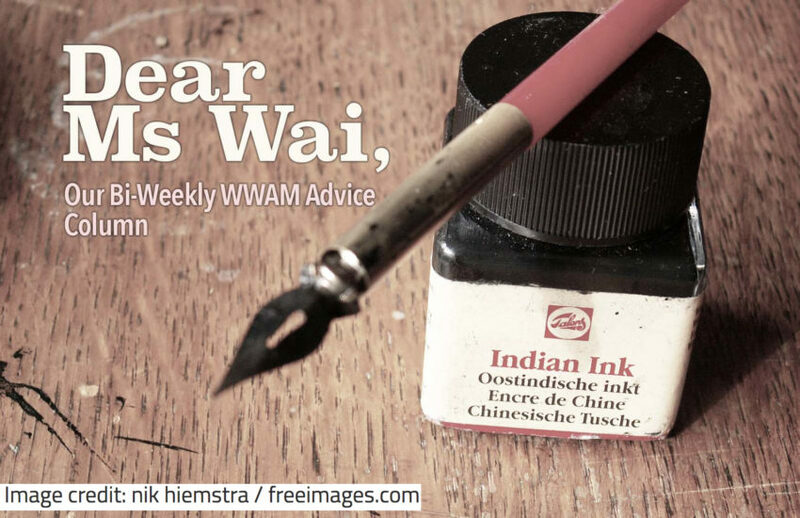 Dear Ms. Wai - His Superstitions are Driving Me Crazy | WWAM Bam! A neighbor living in the same floor of our apartment building committed suicide by jumping off her balcony. When my hubby and I came home the area was all blocked off (with police and the fire department there) but we could see a body lying behind a screen they had set up. It’s a sad story of course, but we barely knew the woman as we just moved here (a European city) a few months ago and only ran into her maybe twice. 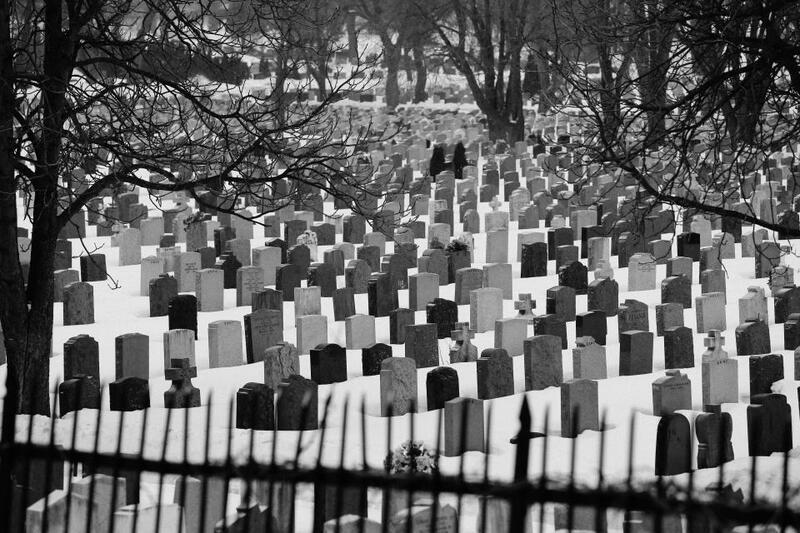 I know in Chinese culture suicide is considered a “dirty” death and the spirit will continue to roam where she died, so that are should be avoided. Unfortunately she fell right by the rear exit (which I use more often than the front) and where the garbage cans are. I want to be understanding but I don’t want this to affect our life. How far should I go to respect his superstitions? Never take the back entrance anymore? Never throw out garbage after dark? Not let our child into the kitchen at night? Or just tell him that we don’t believe in such things in Europe and continue to live as we do? How to deal with a superstitious husband in the modern world? Even though she was basically a stranger, seeing a dead body is always shocking, especially one that has any connection to you. It would shake up anyone, and add to that a strong superstitious belief, it’s not wonder he has panicked and started making outrageous demands. Because let’s be honest, his reaction is quite extreme. Of course you can’t keep your kid away from the kitchen and avoid the entrance of your building. It’s crazy to suggest that. But fear can make it seem like crazy things are rational and he probably sees it as protecting his family. If you just blatantly and forcefully tell him he’s being ridiculous he is going to dig in his heels. He’s going to see an attack on his beliefs as an attack on his culture and get mad at you for not even trying to understand him or take him seriously. No one likes when our beliefs are brushed off with a “don’t be stupid,” and it won’t change his mind. Maybe bring the trash out in the morning for a week or two (do you really always bring it out at night? I’m guessing, like many people, it stays by the door until the next morning when you go out for the day.) And if hubby is home and possibly watching from the window, use the other exit for a week or two. It might be more inconvenient but if he sees you using the “right” one, then he will be less vigilant and stop paying attention. Basically, don’t provoke him or his fears right away by either denying or affirming them. Instead, just kind of naturally avoid doing the things he is frightened of. Don’t make a big deal out of avoiding them, like when you use the other exit don’t say “Used the right exit, are you happy? !” or make any other grumblings because that will keep the issue fresh in his mind. Instead use the other exit quietly and when he stops noticing or paying attention go back to using the original exit. You job is to keep this issue as far out of his thoughts as possible and let the passage of time work it’s magic. As long as he stops obsessing about it, and gets busy with other problems of life, his fears will go from full blown anxiety to a low burning fear within a few weeks, and soon after forgotten entirely. Then normal life can resume peacefully.